Looking to save big on your family’s next vacation? We’ve got you covered! Are you ready to hit the road this summer? Excited to take the family to a new destination? Like many people, you may be ready for the adventure, but not so excited about the price tag to go along with it. And let’s face it, saving money is one of the most important skills we can teach our children. So why not show them how to save big on family vacations? 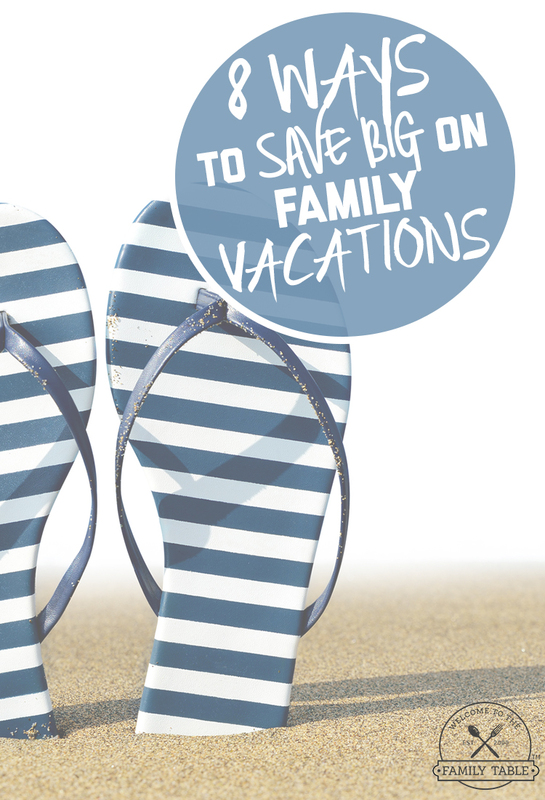 Here are 8 practical ways to save big on family vacations. 1. Choose off times to travel. Choosing when you travel with your family will really make a difference with airfare and admission costs. If your main destination is a theme park or other well-traveled place, think about going during their less-busy times. Searching the destination’s website may help to guide you in finding the best time of year to visit. Airfare costs can vary greatly by time of year and day of the week. Searching for the best pricing is sure to help your family save! TIP: Traveling to Disney? Check out our Printable Disney Vacation Planning Kit! 2. Weigh your travel options. Think about your destination and your possible travel options. Rather than defaulting to air travel (it is the fastest way to get there with kids, right?) also consider a road trip or traveling by train. Though both add time to your trip, you also will see places that you would miss while in the air. When looking at different options and thinking about pricing, make sure to consider the cost of gas (for driving yourself) and any possible lodging necessary along the way. When selecting the kind of hotel or resort where you will stay, think about finding a place where you will have access to a kitchen. Making some of your own meals will really help you save for other parts of your trip! Even simply having breakfast at “home” before heading out for the days’ adventures will keep your budget more on track. And don’t forget to use meal plans as they will save you even more money! 4. Seek out discounted vacations. There are tons of discounted vacation websites that you can visit (and take advantage of!) Travelocity, Hotwire, Groupon, etc. offer packaged deals, as well as savings for individual aspects of your trip. However, if you book your travel online, DO NOT FORGET TO USE Ebates to earn CASH BACK on your trip! Ebates has partnerships with several major discount travel companies and will pay you cash back simply for linking through their website! Score! Feeling spontaneous? Choose your destination based on the deals that you can find. This will help you save big while exploring a place you may not have otherwise considered. 5. Think about the great outdoors. A wonderful memory maker, that’s also great for the budget, is camping. Consider sleeping under the stars or renting a cabin for your get-away. 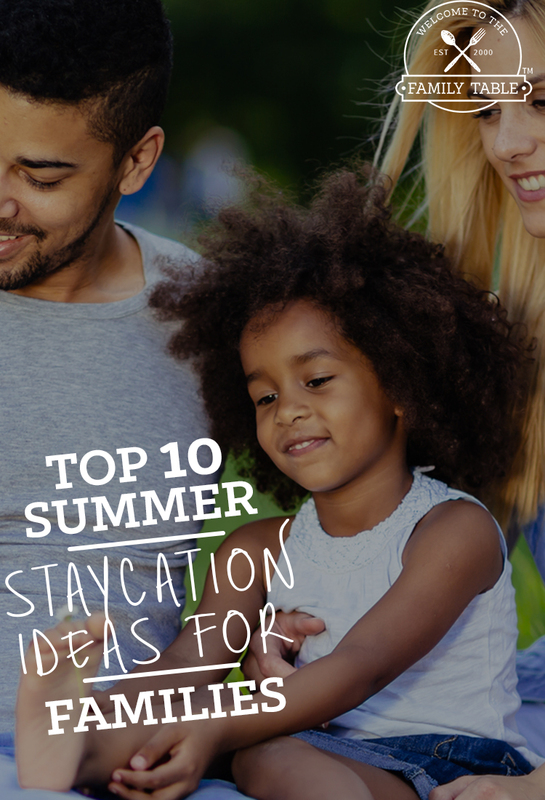 Not only will you save money, but your family will come back with plenty of stories to tell! Camping Binder with a packing checklist and to-do list. Camping Menu to make meal planning easy. Camping Games for some fun family bonding around the campfire. Scavenger Hunt to keep the kids entertained around the camp site. Campfire S’mores Kit to make the BEST part of camping an even bigger treat! One of the best things about camping is that it’s an inexpensive getaway for anyone. So if you’re ready to plan a stress-free trip for your family, grab the Family Camping Trip Kit today! 6. Pick your attractions wisely. The attractions that you pick will definitely have an impact on your budget. Rather than picking all of the best museums and restaurants, find a combination of well-known places and lesser-known gems. Looking for national and state parks and local restaurants will give your family a flavor for the area without breaking the bank. 7. Find a family connection. When looking for your summer destination, think about places where you may have family that you’ve not seen in awhile. While they would love seeing your family, you may also save on a night (or two) spent camping on their family room floor or on their recommendations for discounted places nearby. Building a family visit into your trip can be a benefit for everyone! If you’re considering a beach vacation, or traveling overseas, a travel agent can help guide you in making choices to match your budget. Going with all-inclusive options will help you save on all of the unplanned extras that often come along with traveling with a family. Working with an agent may help you keep you to be sure that you keep your budget on track.